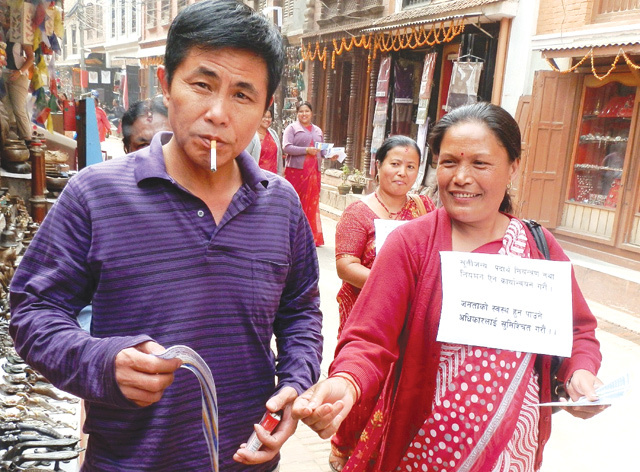 Earlier this month, Health Minister Gagan Thapa told a workshop of South Asian activists fighting tobacco use that Nepal would adopt plain packaging of cigarettes in 2018 and make the country tobacco-free by 2030. Revealed just weeks before World No Tobacco Day on 31 May, the minister’s timing was great, but what about the content of his message? This entry was posted in health, Nepal, Tobacco by martylogan. Bookmark the permalink.